Concept Machine & Tool, Inc. offers only the finest quality machined products. With quality control systems in place throughout our production process, we ensure that each component and/or assembly that leaves our facility meets the most demanding specifications. Beginning with an inspection plan prior to manufacturing all parts which includes 1st article and in process inspections through our final inspection, we have made quality a priority at Concept Machine. Our inspection processes verify completed parts are to our customer’s print specifications. Concept Machine uses a Brown & Sharpe XCEL 9-12-9 DCC Coordinate Measuring Machine (CMM) and ‘Hexagon Metrology PC-DMIS software. Our CMM inspection programming is done in-house by our trained CMM operator. 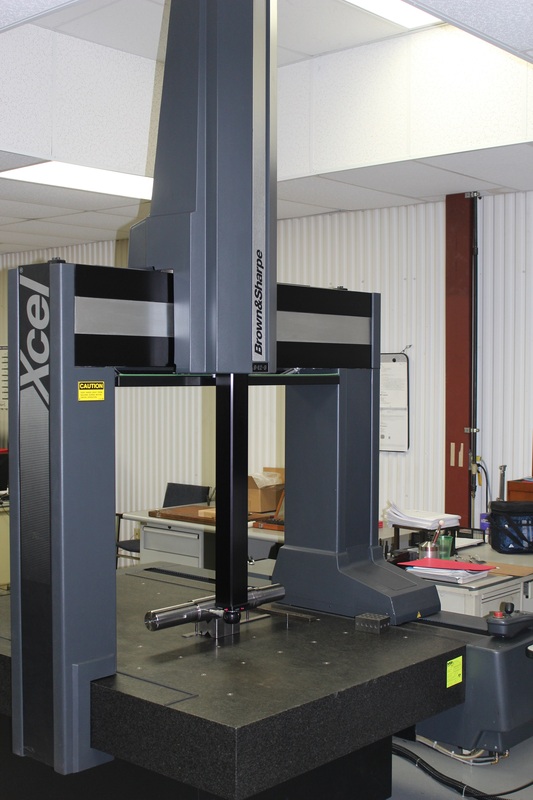 The Brown & Sharpe XCEL 9-12-9 CMM machine allows us to inspect parts up to 41” x 70” x 35H” using a Renishaw TP20 probe which is a fully programmable articulating head for the fastest, most accurate measurements possible. The quality of every part that leaves our shop is our number one focus! With precision measuring equipment, a temperature controlled environment and calibration, every dimension will be held to the print requirements. Detailed inspection reports are completed with every job and can be supplied per customer specification. All of our measuring equipment is calibrated to all ISO 9001 Standards and checked regularly. When you request precision manufacturing and custom machining from Concept Machine, you can be sure only the finest materials and highest quality machine tools are being used to satisfy your needs.